On Wednesday 01 November Ruth Cadbury raced against the Speaker of the House of Commons, the Rt Hon John Bercow MP, the Director General of The Royal British Legion, and over 90 Members of Parliament raced alongside serving members of The Armed Forces on an exercise bike to raise money for The Royal British Legion’s annual Poppy Appeal. 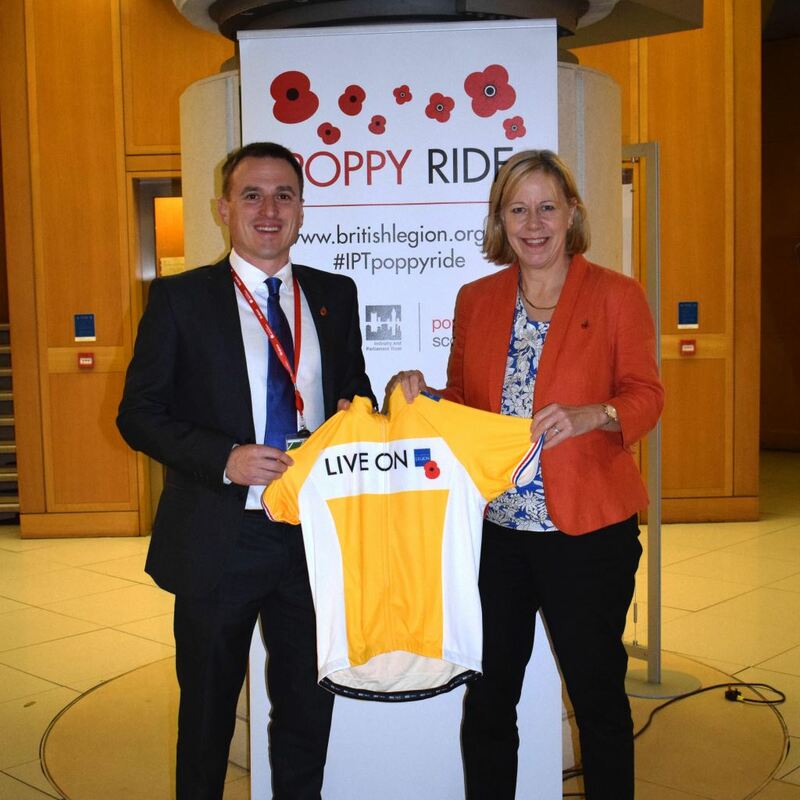 The 12 hour bike ride was held from 08:00 to 20:00 in Portcullis House, Parliament and aimed to raise money for the Legion’s national Poppy Appeal. Ruth Cadbury MP represented her constituency of Brentford and Isleworth by cycling as far as she could in 5 minutes, with the hope of topping the leaderboard, beating their fellow colleagues. Ruth managed to cycle 3.29 in 5 minutes, making her the fastest woman to compete. The bike ride was organised by the Industry and Parliament Trust (IPT) and The Royal British Legion following on from the successful bike ride held in 2016 (where 77 MPs and Peers cycled a total of 128.8 miles in 12 hours). This year’s race emphasised that The Royal British Legion will once again be asking the nation to ‘Rethink Remembrance’ and consider the meaning of the poppy as a symbol of Remembrance and hope. MPs were encouraged to donate as they take part, with all of the money raised on the day going to help The Royal British Legion provide lifelong support for the Armed Forces community. The Central Parliament Poppy Appeal is the only charity that can fundraise in Parliament. "I would like to thank the Industry and Parliament Trust and The Royal British Legion for arranging this event. The Royal British Legion provides invaluable support to The Armed Forces community; I am pleased to have been able to support such a worthy cause". "The work of The Royal British Legion is essential to the lives of the whole Armed Forces community across the UK and I am delighted that MPs and Peers are supporting us in our efforts to raise money for such a worthwhile cause. The support and enthusiasm from parliamentarians and service men and women has been fantastic"